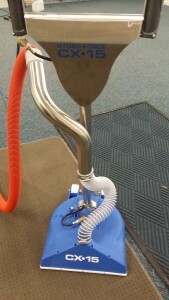 Recently we purchased a Hydroforce CX-15 carpet steam cleaning tool. 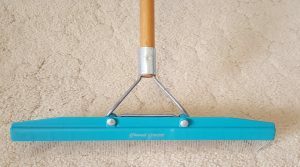 This carpet cleaning tool is a revolutionary piece of equipment. 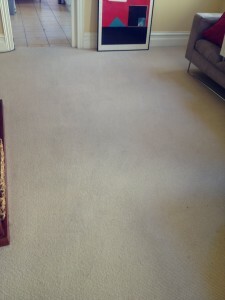 It leaves carpets drier and cleaner in less time than ever before. 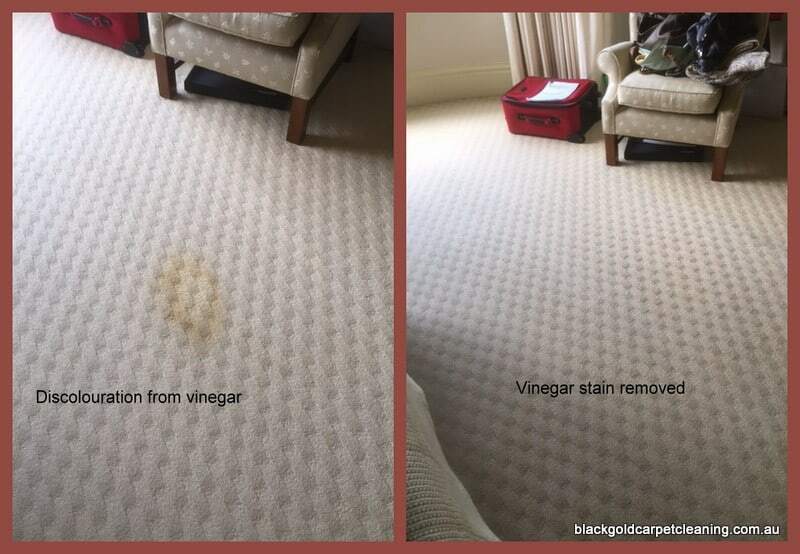 We have always achieved amazing results with our trusty carpet steam cleaning wand, however sometimes on jobs with heavily soiled carpets, we would have to spend a lot of time going over the carpet again and again to remove embedded dirt. The CX-15 has been designed so that usually one pass is enough to remove the dirt. n of the CX-15 means that, unlike other rotary tools with rounded heads, we can clean close to walls and wood floors. 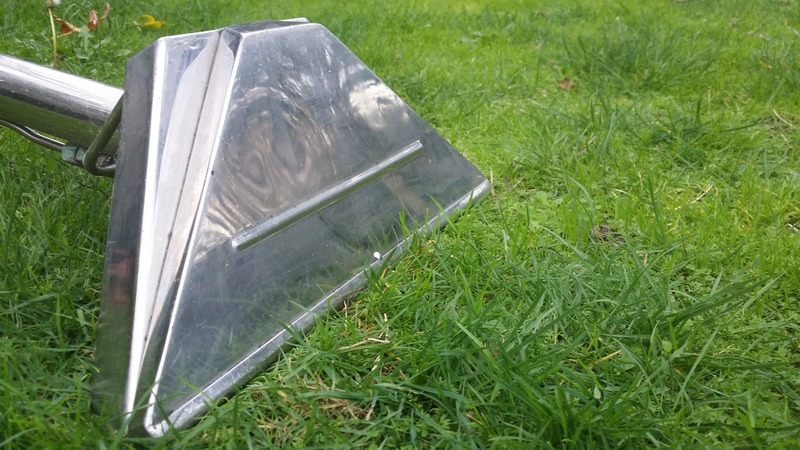 The design of this head also allows air flow speed to be maximised. This means more water is extracted and carpets dry in less time. The best part about the CX-15 is that it is light – only 9kg , compared to other motored rotary carpet steam cleaning tools which weigh about 36kg. This means I can easily move it around and up and down stairs without causing myself and injury! It also means I do not need additional cords and power outlets like you do for other electric rotary tools. 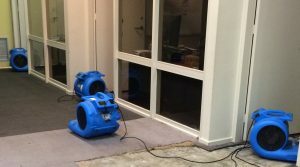 Commercial and Residential carpet steam cleaning – but not in tight spaces! 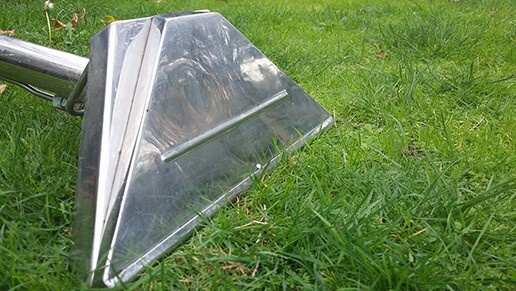 I have found the best use for this tool is steam cleaning commercial carpets and large empty residential properties. This is because it is can be a little tricky to maneuver in tight spaces. The hoses can be a bit of a problem if you don’t have a lot of room to turn around, so I don’t use the CX-15 for carpet steam cleaning in small properties like apartments and townhouses, especially if they are furnished. 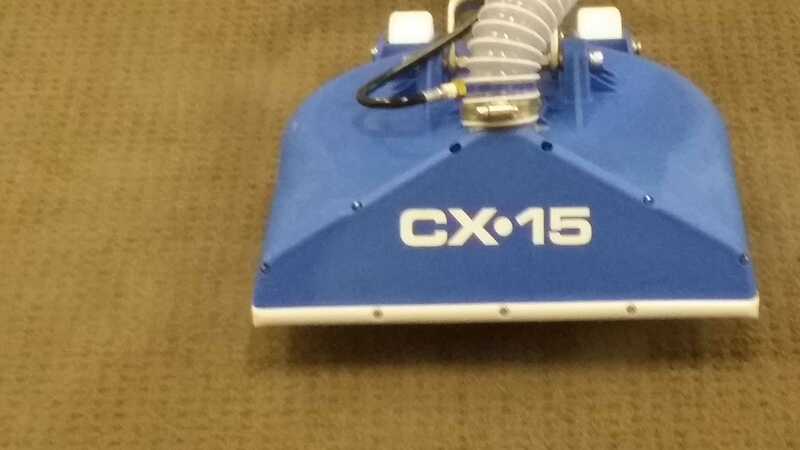 However if you are looking for end of lease carpet steam cleaning in Melbourne, for your house or office and would like to see the Hydroforce CX-15 in action, then please give me a call to arrange a booking. Why you should be aware of VOCs in carpet and how to deal with them. Ahhh… love the smell of VOCs in carpet in the morning – said no one ever! What are VOCs in Carpet? If you have ever bought a brand new, off the factory floor, never been owned before, car; then you will be familiar with that “new car smell”. Many people love this smell, there are even car deodourisers called “new car smell”! The same however, cannot be said for that “new carpet smell”. If you have ever had carpets installed in your home or office then you have probably experienced the “toxic” fumes otherwise known as VOCs that can be hazardous to your health. What causes the fumes and how can you minimise the impact on the health of you and your family? How do you deal with VOCs in carpet? What are VOCs and why are they in my new carpet? VOCs are Volatile Organic Compounds (chemical contaminants made up mainly of carbon and hydrogen) and are found in almost all manufactured products, including soft furnishings, cosmetics, clothing, plastic bottles, paint and other building materials, cars and clothing, just to name a few. At room temperature, these VOCs are released into the environment in the form of gas which evaporates into the air – this process is sometimes called off-gassing. In the case of synthetic carpets, most but not all of these VOCs are destroyed in the manufacturing process, as the carpet is “baked” at 150-170c in a finishing oven. Carpet is, therefore, the lowest emitter of VOCs of most common flooring options. When you install new carpet in your home however, there will still be some low level VOC emissions for a few days, especially when you add in the VOCs from the underlay and adhesives used in the installation process. Are VOCs in carpet dangerous? While there is no conclusive evidence that exposure to VOCs causes long term health issues, there is plenty of evidence pointing towards, short term effects experienced by people exposed to high levels of VOCs. These short term effects include, head aches, nausea, dizziness, shortness of breath, skin and throat irritations and so on. These effects vary depending on the type of chemicals, the concentration level of the VOCs and how long the person is exposed to them. A person’s age, gender, general health condition and exposure to other chemicals can all play a role determining the effects VOCs have on their health. People who experience asthma or other respiratory conditions or are particular sensitive to chemicals, should try to avoid exposure to VOCs. Studies involving mice, have shown that long term exposure to high levels of VOCs can increase the risk of cancer, liver and kidney disease in animals and is thought to also affect humans in the same way. However there is not a lot of information on the long term health effects of low level household exposure from VOCs in carpet. Scientists at organisations such as the EPA are still researching what are the specific chemicals released by carpets and whether or not they are dangerous for the average person. Generally the VOCs in carpets are low level and any short term effects go away once the person stops being exposed to the VOCs. However, until more is known about the impact on our health, the EPA recommends exposure to VOCs is kept at a minimum. Has the Australian Government set standards for VOCs in carpets? There are no specific regulations set for VOCs in carpets or even general indoor air quality by the Australian Government, except for regulations on some specific substances in the workplace. 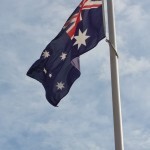 There is no single Australian Government authority to oversee indoor air quality in Australia as it would be difficult to regulate and enforce set standards in private homes. Individual state authorities and organisations, however are able to offer recommendations and guidelines based on information and research into air pollutants and their impact on our health. The Australian Carpet Institute is one such organisation, setting standards for carpet chemical emissions and carpet labeling. The Green Building Council of Australia is another organisation who sets standards and rating systems for low VOC emissions in building materials. How can I minimise the health risks of VOCs in carpet? To minimise the risks from VOCs in carpet, it is important to ensure good ventilation when using or installing products and materials which emit VOCs. Ventilation means bringing in air from outside to mix with the indoor air and can be as simple as opening lots of windows. New carpet can emit VOCs in low levels, for several days after being installed, so it is worth asking your carpet supplier or installer if the carpet can be left unrolled for a few days at their warehouse before installation. This will allow some of the VOCs time to disappate before bringing the carpet into your home. 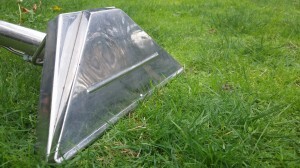 It is also important to run your ventilation system for at least 72 hours after carpet installation. Where possible, open the windows and position fans next to the windows to blow in the fresh air. Close the doors to the areas with new carpet and try to stay out of those rooms for a few days. It could even be a good time to take a short holiday! The Australian Carpet Institute, has developed a standard for carpet with low VOC emissions, called the Green Label Plus. These “green” carpets have lower VOC emissions than other synthetic carpets and are definitely worth considering. However you should make sure the underlay and adhesive used by the carpet installer are also “green” and have low VOC emissions, as often the glue can emit more VOCs than the carpet! Natural fibres such as wool and cotton with backing made from Jute or other grassy fibres are usually much longer lasting, and lower in VOCs than carpets made from synthetic fibres such as nylon or olefin which are usually backed with potentially harmful PVC plastic. How do I maintain my new carpet and keep it VOC free? 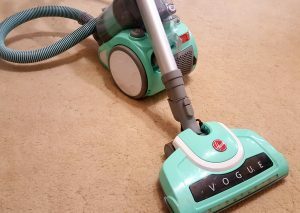 Once you have installed your new carpet and aired out the rooms so there are no more VOC emissions, you need to ensure you vacuum your carpet regularly with a vacuum cleaner that has a filter and good, strong suction. Carpet is a great filter itself, as it traps VOCs, from other sources, as well as dirt and dust. 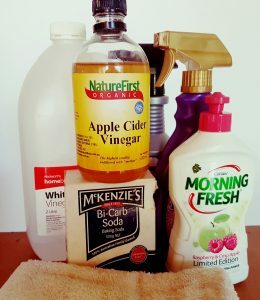 However things like, poorly filtered vacuum cleaners or the kids playing on the carpet, cause agitation and the VOCs and dust can become air born again. 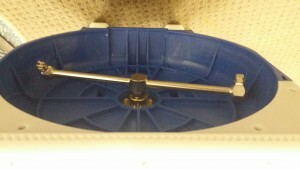 It is important, therefore, to remove them with regular, well filtered, vacuum cleaning. 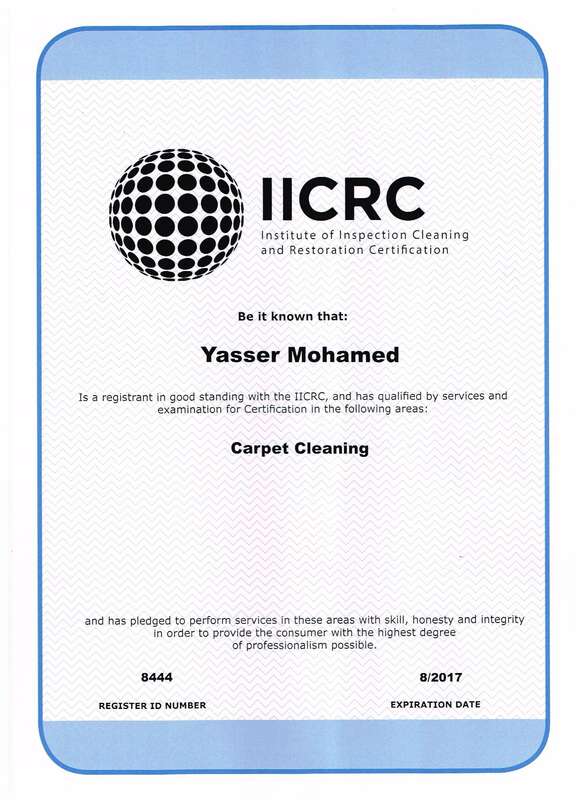 The Australian Carpet Institute of also recommends hot water extraction using low emission VOC cleaning agents as the best method of cleaning carpets. 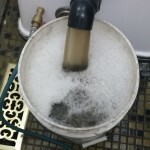 Hot water extraction (often referred to as steam cleaning) uses heat and water to wash the carpet fibres and strong suction (extraction) the remove the VOCs and dirt. 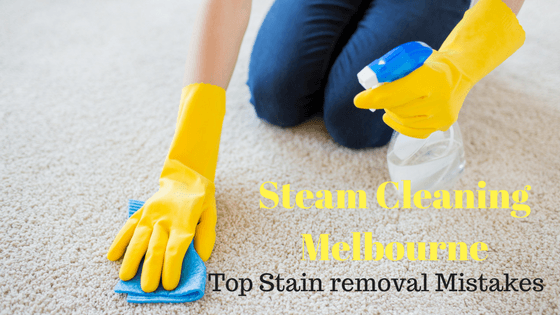 Carpet steam cleaning in Melbourne – why use us? 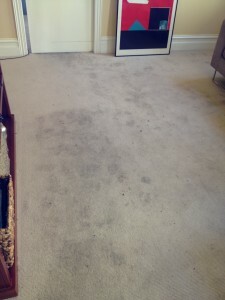 Why use carpet steam cleaning in Melbourne by Black Gold Carpet Cleaning? 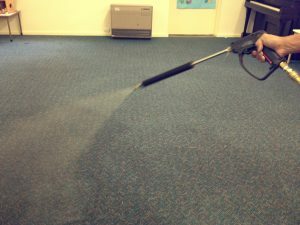 Recently we have been looking at our marketing strategy and one of the questions we asked ourselves is why choose us for carpet steam cleaning in Melbourne? 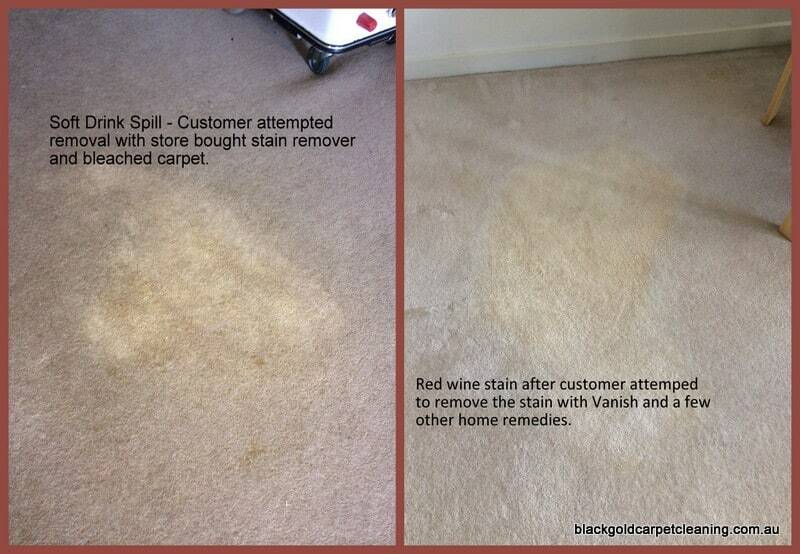 Why would customers chose Black Gold Carpet Cleaning over and above all the other carpet steam cleaners in Melbourne? What makes us unique? Think about it. It is a really hard question to answer, but we came up with a few answers we would like to share with you. 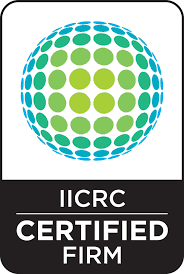 All of our technicians are fully qualified by the IICRC and trained at Jena Dyco. 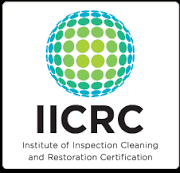 IICRC stands for the Institute of Inspection, Cleaning and Restoration Certification and is the only internationally recognised standard for carpet cleaning. Jena Dyco is Australia’s most recognised training facility for carpet, upholstery and restoration training. These organisations insist on training and examination before certification is granted. It is not something you can “buy” it is a real qualification. Carpet steam cleaning is something a lot of people can do, but only trained and experienced technicians do it the right way. Professional carpet cleaners, can identify the many different types of carpet fibres and understand the best method of cleaning for each type of flooring. 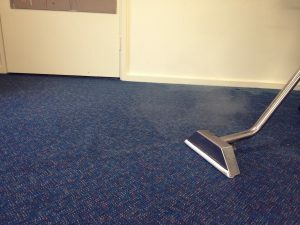 The age of the carpet, the type of underlay, the amount of staining or foot traffic marks and the carpet composition, all need to be taken into consideration when undertaking cleaning. It isn’t just a matter of steam or dry cleaning, but rather what is best for your carpet and it’s condition. Carpet cleaning isn’t only about what method you use or what detergents work best, if you do not have the right knowledge, you can over wet the carpet resulting in browning, odours, shrinkage, underlay damage and mould. 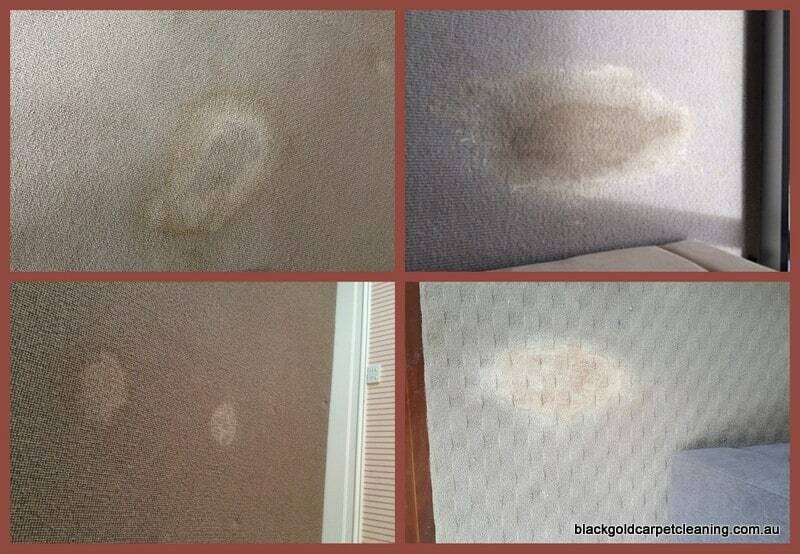 At Black Gold Carpet Cleaning we can help you choose the best method of cleaning for your carpet as we offer both steam and dry carpet cleaning in Melbourne. We are a family owned and operated business. We have a young family and we are involved in our local community. We understand how having a young family can put time and budgetary constraints on our customers and we always try to work out a time to suit and offer really reasonable everyday rates along with one off specials. We care about our customers and want to give them the best possible results every time at an affordable rate. Our discounts are real and our rates are realistic and reasonable. We can keep our costs low as we do not have to pay sub contractors or franchise fees. 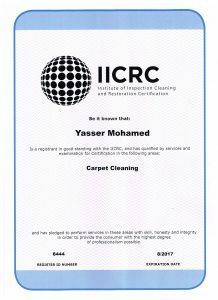 We really believe our carpet steam cleaning service is one of the best in Melbourne and we are really proud of our service and results. 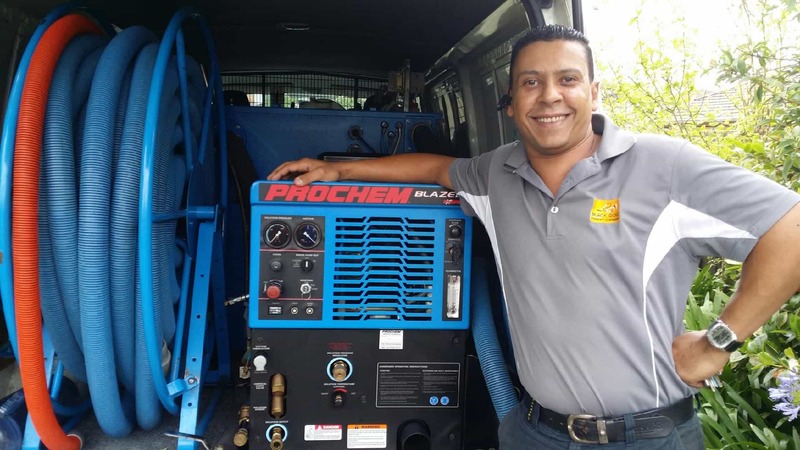 We like our customers and we want them to be happy. Simply put, we care about satisfaction, and we offer a real guarantee, it isn’t just a marketing ploy. 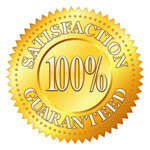 Our guarantee does not have fine print: if you are not satisfied with the end result then it is FREE. We are always happy to come back and re clean if the need arises, however, at the end of the day if we can’t provide the service you expect, then why should we expect you to pay? We keep our promises. A lot of businesses promise the earth to get your business but don’t always deliver. We do. We don’t just want to steam clean your carpet once, take the money and run. We want to see you again. We want your return business, we want you to tell your friends and family about us. Just read our testimonials on our website, they are all real customers and we want to keep adding this type of feedback. One of our friends who runs his own carpet cleaning business couldn’t believe these testimonials are real, he thought we made them up! We don’t need to make them up, we love receiving this type of positive reinforcement and we want more. Wherever possible we try to use locally manufactured environmentally friendly detergents. We don’t just love carpet steam cleaning, we love Melbourne and the planet and want to ensure our kids can too. We also like to support related local businesses and reduce our carbon foot print, by buying our equipment and detergents locally. Results that have to be seen to be believed! If you need any more convincing, just take a look at the before and after photos below. They were taken a week ago at an apartment we cleaned in Fitzroy. We believe a picture is worth 1000 words! July 1, 2013 / Comments Off on Carpet steam cleaning in Melbourne – why use us?